Clarence "Amos" Burgess, 80, of Austin, Arkansas, died Thursday, April 14, 2016. He was retired from the Arkansas National Guard after serving 42 years and served many years on the Lonoke County Fair Board. He was an avid hunter, fisherman and loved to quail hunt. He was a Baptist. 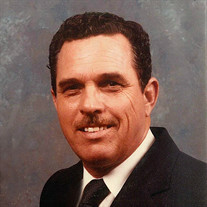 He is survived by his wife of sixty-two years, Linda Burgess; daughter Karen Bryson (Joe Buck) of Austin; son Timothy Dale Burgess (Lorry) of Delaware, Arkansas; four grandchildren, Michael, Jennifer, Justin and Caleb; two great-grandchildren; one brother, Richard "Andy" Burgess of Ranger, Texas; and a host of nieces and nephews. The family would like to thank his special friends, Carol Watson, Jackie Fulton, Nona Diffy, Linda Bright, Nicki Jolly, Andrea Neel, and Tom Sanders. Family will receive friends from 3:00 to 5:00 p.m. Sunday at Smith-Westbrook Funeral Home, Beebe. Funeral will be 2:00 p.m. Monday, April 18, 2016, at Smith-Westbrook Funeral Home, with burial with military honors in Hicks Cemetery. Arrangements by Smith-Westbrook Funeral Home, a certified Veterans Funeral Care provider.